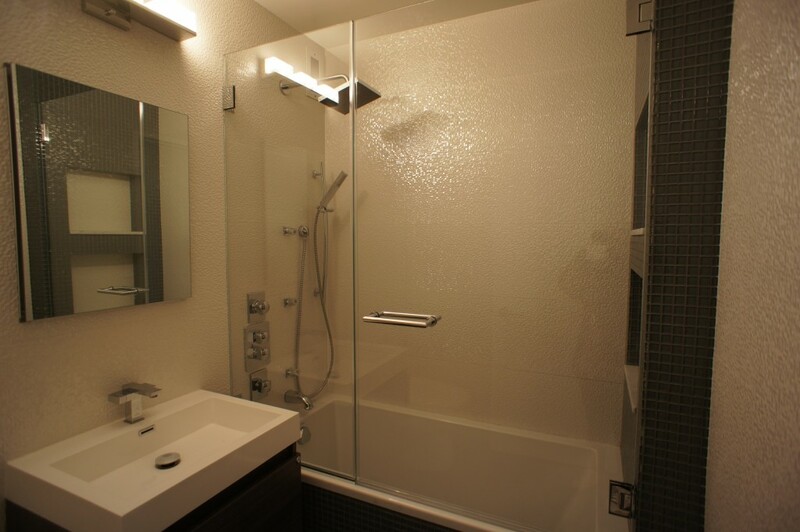 The large format 12″ x 35″ porcelain tiles are rectified and so you don’t even see the grout lines, which minimizes mold and mildew stains on most large grout lines. 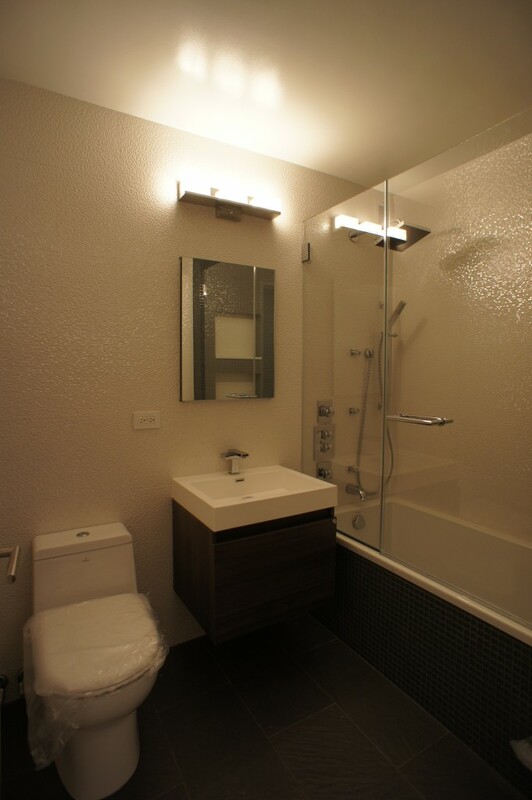 The tiles are also 3-Dimensional giving the bathroom a unique feel and touch. 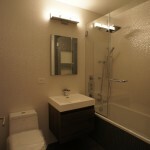 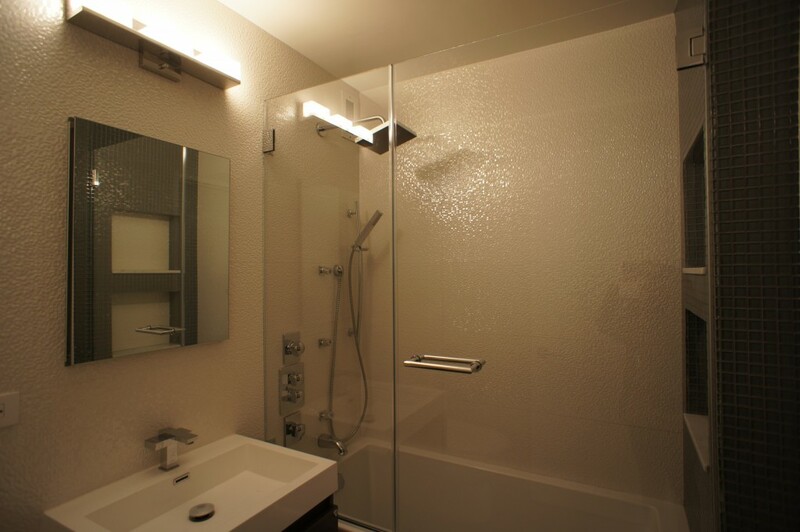 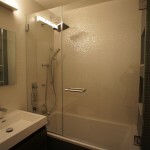 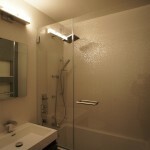 A large rain fall shower head, massage jets, and a large soaker tub screams a spa bath retreat.